Luckily, Pavtube Studio has announced that with the upgraded version 4.8.2, H.265/HEVC codec and MXF in XAVC codec are fully supported well with all windows products. More details on this upgraded information. Overall, this upgraded Pavtube H.265/HEVC Video Encoder/Converter can make you H.265 footage accepted by almost all NELs, Media Players, Tablets, Smartphones, 4K TVs, HDTV etc. with an easy operation job. So H.265 fooatge recordings form Samsung NX1 camcorder is also included. Tips: As H.265 is becoming more and more popular, do you have any interests in getting closer to H.265 Encoder/Decoder? 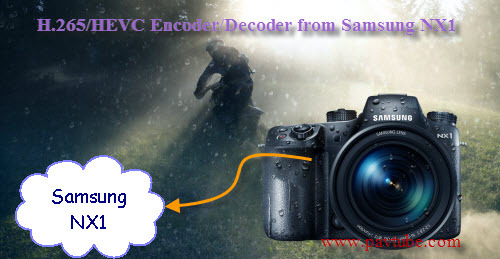 How to Encode and Decode your H.265 videos from Samsung NX1 on Windows 8.1/8? From the Pavtube official website, we can download and install the program in a nice way. Launch it and the main interface will pop up in front of our eyesight. Press on the ‘Add file’ we can load our original files smoothly. Or drag your files in directly is not a bad idea too. 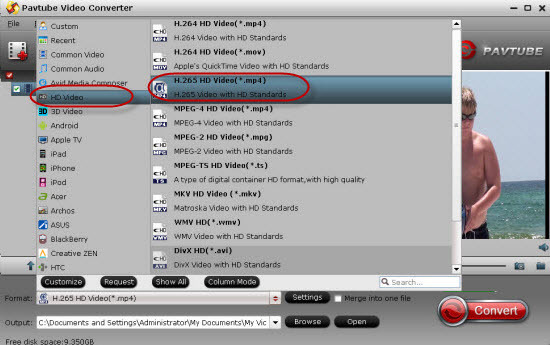 Have an idea of editing your H.265/HEVC recordings? Just come to the output list to find your favorite editing tools. Or if you just want to encode your H.265 to some common ones, why not go to the ‘Common Video’ to get more? Let me give you the ‘H.264 MP4′ as the example. Additionally, in this upgraded version, three main standards of H.264 has been released there. 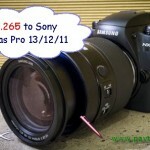 H’264 Baseline/Main/High Profile Video (*.mp4)’ . 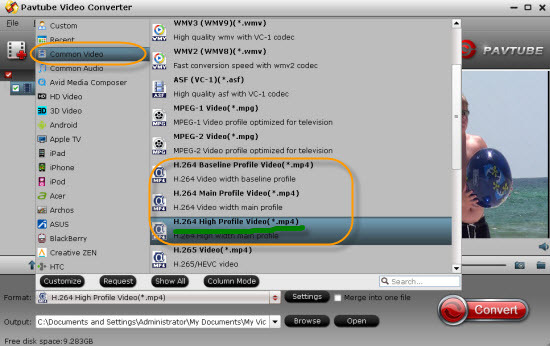 Let’ s choose the ‘H.264 High Profile Video (*.mp4)’ as the favorite. Notes: If you got the needs to encode common ones to H.265/HEVC, I suggest you to get into the ‘HD Video’ to look for the item ‘H.265 HD Video’ for a help. In some ways, because of the advantage: higher quality and smaller size that H.265 codec brings to us, we need to wait for much more time for the conversion result. Go back to the main interface and press on the big red icon ‘Convert’ to get your work started if you are sure you have done all the preparation work well. Or other suggestions or opinions, please let us know as comments below. Thanks for reading! Thanks for your reading. Have a good nice. It’s remarkable designed for me to have a site, which is useful in favor of my experience. Really saved my life! I tried to encode my first H.265 video from Samsung NX1 on my PC, but it kept saying too big and it’s already the smallest file I can do with my WMM. I searched on the internet and tried this software. Then begin to change parameter setting as guided. It works! Great thanks toPavtube develop team!! !